Livex 42402-91 - Raise the style bar with a designer wall sconce in a handsome and versatile contemporary style. 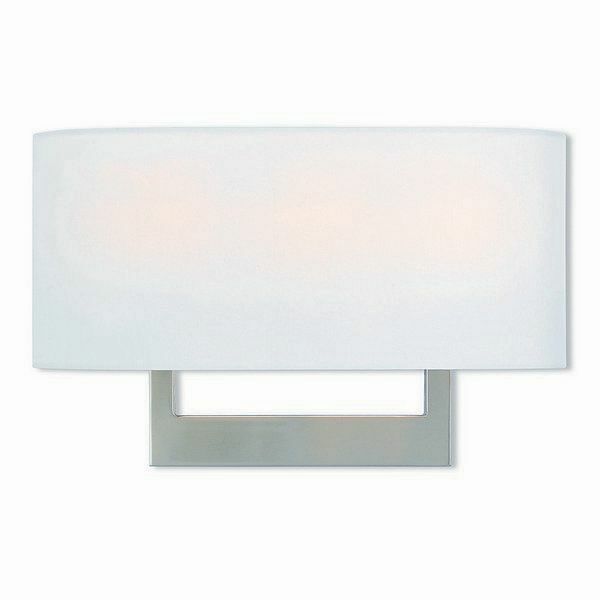 This three light wall sconce comes in a brushed nickel finish with a rectangular off-white fabric hardback shade. Dimensions: 16" W x 10" H x 3.95" Ext.